I would walk up and down the same road almost daily. I would pass several businesses and people along the way. I would talk with the women who ran small businesses along the road. One woman is Florence. Florence sells and exchanges plastic crates that hold soda pop bottles and beer. I would chat with her while I passed by. Culturally, if you are preparing to leave – you must say goodbye out of respect for the other person. Close to our departure I stopped and asked if I could take her picture as a souvenir for me. She said yes as long as I was also in the picture. About a week after our picture, Florence came running off her porch as I was coming down the road in our car. She stood in the road yelling DeAnna. I stopped and she wanted to present me with a goodbye gift – a wooden pigeon. Florence told me that the bird’s name is also Florence and she put her face so it was face to face with the bird and told me to get down in the bird’s face and talk to it like I would talk with her. So now, Florence the bird stays on the end table near our couch. It’s a wonderful reminder of Florence the person. 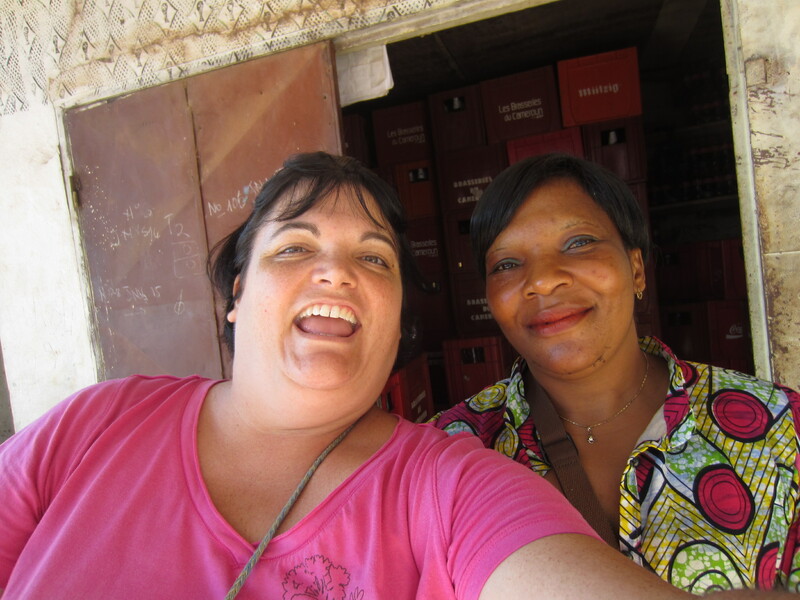 This entry was posted in Cameroon, home and tagged Cameroon, Home, relationships. Bookmark the permalink. 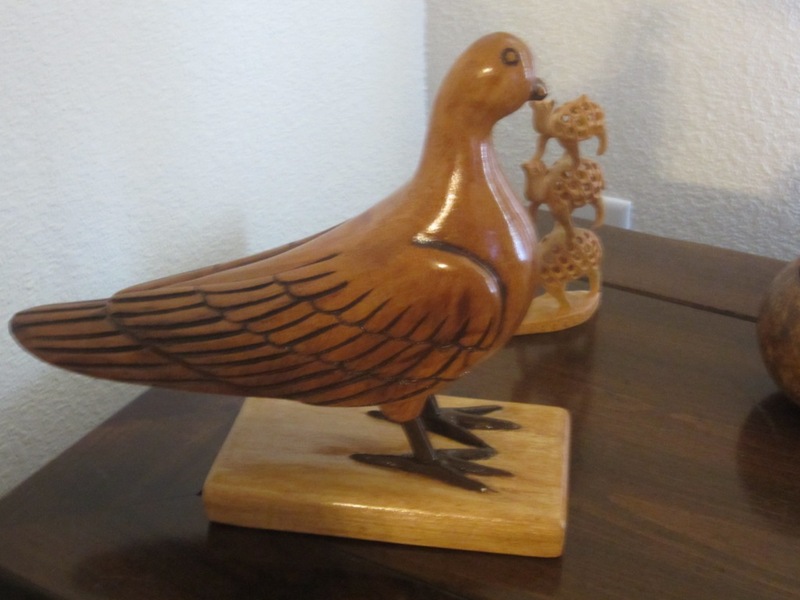 I was awe struck by the craftsmanship and love represented in each of the good-bye gifts displayed in your home, including Florence, the beautiful, lovingly-crafted pigeon.